Among this year’s under-reported events was the opening of a new rail freight route. A locomotive, pulling wagons loaded with Chinese manufactures, set out in early January from Yiwu in Zhejiang province. Some 18 days and seven countries later it arrived at a goods depot almost 7,500 miles away on the eastern edge of London. The jury is out on the economics of this latest reincarnation of the ancient silk routes. That is beside the point. The journey above all else was a statement of China’s geopolitical intent. In truth, it took several trains to complete the trip. The freight containers had to be switched at various points to take account of different track gauges, and then again for the last stretch through the Channel tunnel. It is not clear how frequently the trains will run, although the operator says it is offering a service much faster than by sea and much cheaper than by air. Once a month seems to be the first target. Similar routes opened a while ago to continental cities such as Hamburg and Madrid. London, though, is a prize. The trains, following the old silk road through central Asia, Russia, Belarus and Poland into western Europe are unlikely to have a decisive effect on present patterns of trade. The important thing is the psychological impact — a network of rail links reduces the distance between Asia and Europe. And there lies the grand design of China’s Xi Jinping. The president wants to obliterate boundaries between the two continents and draw the rich nations of Europe close to China. There is a shorthand among foreign policy types that designates the 20th as the Atlantic century. The 21st, the received wisdom continues, will belong to the Pacific. The last century saw wealth and power concentrated among the littoral states of the north Atlantic as Europe and the US reached across the ocean. But prosperity and power have travelled eastward and southwards. The phrase Pacific century seems to capture China’s rise. Only in part. True, the People’s Liberation Army is building military bases on reclaimed islands in the South China sea to expand its maritime reach into the Western Pacific; and, yes, China could well clash with the US in these waters. But such tensions misread Beijing’s organising ambition. It is looking westwards rather than eastward. Mr Xi’s big play is wrapped up in his “One Belt, One Road” idea — the recreation of the sea and land routes of an earlier age of globalisation. When it looks ahead China imagines an era in which the great land mass of Eurasia becomes the vital fulcrum of global power. And guess who will be the pivotal Eurasian player? Zbigniew Brzezinski, the former national security adviser to president Jimmy Carter who until his death this year was Washington’s sharpest strategic thinker, long ago grasped the significance of what he called the “axial supercontinent”. “A power that dominated Eurasia”, he wrote as far back as 1997, “would exercise decisive influence over two of the world’s three most economically productive regions, western Europe and East Asia . . . What happens with the distribution of power on the Eurasian landmass will be of decisive importance to America’s global primacy and historical legacy”. It is easy to see why he was concerned. Eurasia — and the historic division into two continents has more to do with tradition and culture than any physical boundary — accounts for more than a third of the world’s landmass and for about 70 per cent of the global population. It is home to much of the world’s energy and other natural resources. For some the One Belt, One Road project speaks to a jumble of different objectives — some economic, some strategic. Thus a Chinese railway through Myanmar provides a route to the sea that bypasses the pinch point of the Strait of Malacca. A new port in Pakistan provides direct access to the Indian Ocean and the Gulf. Vast infrastructure projects in central Asia and Africa are designed to mop up China’s excess industrial capacity and to secure sources of raw material. Beijing wants new investment channels to expand its presence in Europe. Some of these enterprises are more successful than others — as witnessed by James Kynge’s reporting in the FT this week of Beijing’s stumbling attempts to export high-speed train technology. It seems it is better at running trains than building new railways in other nations. Nor can Beijing expect to have it all its own way. At some point Moscow will tire of its place as very much the junior partner in the Sino-Russian axis. And India will not be easily pushed aside as China cuts a swath through Eurasia. But the whole amounts to more than the sum of the parts. One Belt, One Road is China’s route to Eurasian primacy. And the gods are looking favourably on the Chinese leader. The belligerent isolationism that counts for foreign policy in President Donald Trump’s White House offers Beijing a free hand. Brzezinski’s worry was that without a strategy to promote its own interests through balancing alliances, the US would cede Eurasia to others and, eventually, would be left a great power stranded in its own hemisphere. Such geopolitical calculation does not loom large in Mr Trump’s White House. Beijing can scarcely believe its luck. As the US retreats, China makes its presence felt. Quite suddenly, the Eurasian century has a certain ring to it. (Fox News) – Anthony Scaramucci’s shocking, on-the-record tirade has blown the cover off long-simmering tensions between two of President Trump’s key men, prompting one White House worker to express safety concerns and triggering a countdown to the exit of either Scaramucci or his target, Trump Chief of Staff Reince Priebus. Scaramucci, the newly minted White House communications director, set off a firestorm with a rambling rant loaded with expletives and threats that The New Yorker published. The coarse language directed at Priebus and White House Chief Strategist Steve Bannon, as well as blanket threats to fire people, left some inside the White House shaken. Former Republican National Committee boss Priebus was left seemingly even more isolated in the aftermath. Scaramucci all but accused Priebus of media leaks, a recurring problem that has vexed the Trump administration. Other RNC colleagues brought into the administration have been nudged out of the West Wing, and Scaramucci’s hiring came with the rider that he reports directly to Trump – not Priebus. Priebus has not reacted publicly to the broadside from his West Wing adversary, but it is hard to imagine the two co-existing in the administration after the public eruption of animosity. Scaramucci said after his tirade but before it was made public that any chance their relationship could be repaired was in the hands of the president. “Reince is a (expletive) paranoid schizophrenic, a paranoiac,” he told the New Yorker about the White House chief of staff. Scaramucci also took a shot at Bannon. At some point, these guys will find themselves sitting around the same conference table. If video of that meeting ever leaks it will break the Internet. But why bother with tawdry political theater on a finance blog? Because you’d think the markets would be petrified by the prospect of a government paralyzed by this kind of infighting. Instead, stocks are at record levels and bonds are holding up nicely. What gives? The Fed, that’s what. Under today’s New Age monetary regime, bad news anywhere is good news for financial asset prices because the world’s central banks, led by the Fed but abetted by the European Central Bank and Bank of Japan, stand ready to throw trillions of new dollars, euros and yen at whatever threatens to go wrong out there. And they’ll do it sooner rather than later. As ECB chair Mario Draghi put it recently they’re in “reactive” mode and won’t hesitate to hit “send” with cash infusions whenever the markets event hint at a downturn. So by the dip and relax. This is of course a recipe for disaster. But if you’re managing money and are being judged by quarterly results you don’t have the luxury of thinking long-term. The rest of us, though, should definitely be planning for the day the music ends and the big banks, index funds and hedgies try to leave the dance floor en masse. VENEZUELA claims to have more oil than Saudi Arabia, yet its citizens are hungry. An astonishing 93% of them say they cannot afford the food they need, and three-quarters have lost weight in the past year. The regime that caused this preventable tragedy professes great love for the poor. Yet its officials have embezzled billions, making Venezuela the most corrupt country in Latin America, as well as the most ineptly governed. It is a textbook example of why democracy matters: people with bad governments should be able to throw the bums out. That is perhaps why President Nicolás Maduro is so eager to smother what little is left of democracy in Venezuela. On July 30th, barring a last-minute change of mind, Mr Maduro will hold a rigged election to rubber-stamp the creation of a hand-picked constituent assembly whose aim is to perpetuate his unpopular state-socialist regime. It will complete the destruction of the powers of parliament, now controlled by the opposition, and wreck the integrity of a presidential election due next year, which, if it were free and fair, Mr Maduro would surely lose. Opponents say the assembly will install Cuban-style communism. At the very least, its creation will provoke more violence in a country where the streets are already choked with tear gas and littered with buckshot from police shotguns. In almost four months of protests, more than 100 people have died; hundreds more have been locked up for political reasons. All this infuriates Venezuelans. It should alarm the outside world, too. By the end of this year Venezuela’s economic collapse since 2012 will be the steepest in modern Latin American history. Income per person is now back where it was in the 1950s. The main cause of this calamity is ideological. Following the lead of his late mentor, Hugo Chávez, Mr Maduro spends public money lavishly, especially on his supporters. Weak oil prices and inept management mean he cannot pay his bills. So he prints money and blames speculators for the resulting inflation, which is expected to exceed 1,000% this year. The black-market price for US dollars is now about 900 times the official rate. Price controls and the expropriation of private firms have led to shortages of food and medicine. With hospitals bare of supplies, the maternal mortality rate jumped by 66% last year. Officials flagrantly profiteer from their access to hard currency and basic goods. Venezuela has become a favoured route for drug-trafficking and is awash with arms. 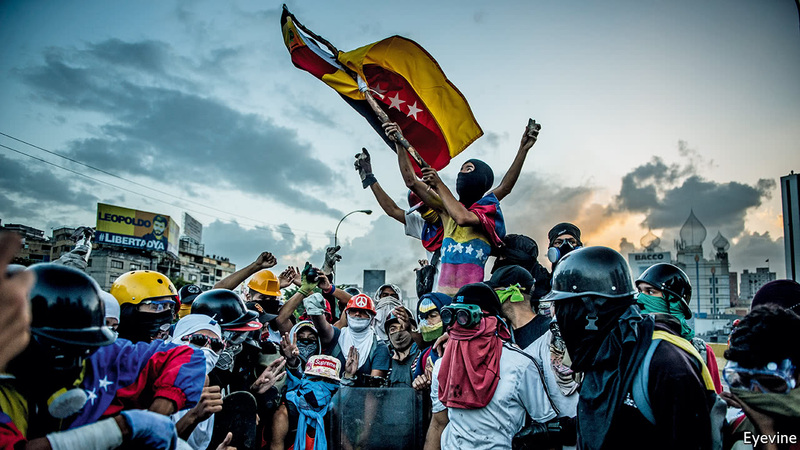 Some left-wingers, such as Britain’s Jeremy Corbyn, imagine that Venezuela’s “Bolivarian revolution” is a promising experiment in social justice. Tell that to the tens of thousands of Venezuelans who have fled to neighbouring countries. As the crisis worsens, their number will rise. That makes Venezuela’s government a threat to the region as well as its own people. What can be done? The best solution would be a negotiated transition. Mr Maduro would finish his term but would respect the constitution and parliament, free political prisoners and guarantee that overdue regional elections, and the presidential contest next year, take place fairly. However, an attempt at such a negotiation failed last year, and there is no sign that Mr Maduro and his cronies will voluntarily surrender power. Those who want to save Venezuela have limited influence, but they are not helpless. The opposition, a variegated alliance long on personal ambition and short of cohesion, needs to do far more to become a credible alternative government. That includes agreeing on a single leader. Some in the opposition think all that is needed to trigger the regime’s collapse is to ramp up the protests. That looks fanciful. Mr Maduro can still count on the army, with which he co-governs. In Venezuela’s command economy he controls such money as there is, and retains the backing of a quarter of Venezuelans—enough to put his own people on the streets. And he has the advice of Cuba’s security officials, who are experts in selective repression. Latin America has at last woken up to the threat. Venezuela is far more isolated than it was, having been suspended from the Mercosur trade group. But it was able to avoid a similar suspension from the Organisation of American States (OAS) last month with the backing of its ideological allies and some Caribbean island-states to which it offers cheap oil. The United States should have applied more diplomatic muscle to sway the vote at the OAS. President Donald Trump is now considering broad sanctions such as barring the import of Venezuelan oil, or banning American companies from working in Venezuela’s oil industry. That would be a mistake: Mr Maduro would find new buyers for his oil within months. In the meantime, ordinary people would suffer more than the regime’s loyalists. And broad sanctions might strengthen the regime, because Mr Maduro’s empty claim that he faces “economic warfare” from “imperial” America would at last have some substance. More promisingly, on July 26th the Trump administration announced individual sanctions on a further 13 Venezuelan officials involved in the constituent assembly, or suspected of corruption or abusing human rights. These officials have had visas withdrawn, and American banks and firms are barred from doing business with them. This effort could be intensified by pressing banks to disclose embarrassing information about officials who have stashed stolen public funds abroad. The European Union and Latin America should join this effort. It will not, in itself, force the regime to change. But the stick of individual sanctions should be combined with the offer of negotiations, brokered by foreign governments. Any final deal may have to include legal immunity for senior Venezuelan officials. That is distasteful, but may be necessary to achieve a peaceful transition back to democracy. The alternative could be a slide into generalised violence, for which Mr Maduro would be squarely responsible. Already there are signs of anarchy, with radicals on both sides slipping loose from their leaders’ control. Rather than a second Cuba or a tropical China, chavista Venezuela, with its corruption, gangs and ineptitude, risks becoming something much worse. Could the Fed Cause the Next Bear Market? Gold manager John Hathaway writes that the Fed’s pursuit of rate hikes could bring down weak economy. During the first half of 2017, gold bullion rose 7.75% while the XAU (Philadelphia Index of Gold and Silver Stocks) rose 2.79%, including dividends. 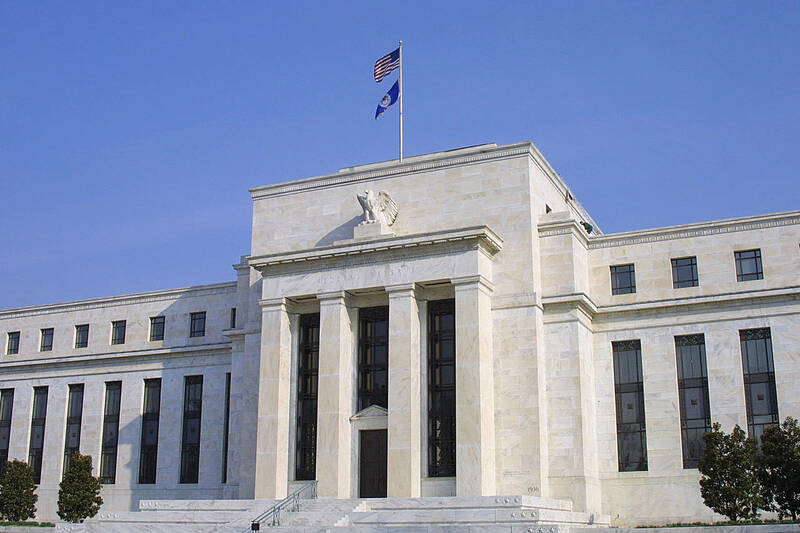 Among the notable developments of the first half were the pronounced weakness of the trade-weighted US dollar (down 6.44%) and the continuing sluggishness of the US economy, both of which call into question the wisdom, feasibility, and credibility of the Fed’s push to tighten credit. US dollar weakness was completely unexpected by the investment consensus, as reflected in record speculative euro shorts at year end. The misreading of the currency outlook by numerous well-known and highly regarded investment thought leaders suggests to us that other important components of the macro and market outlook may have also been misjudged by both the investment consensus and policy makers. Because of strong financial markets, investor interest in gold remains subdued. In our opinion, revival of interest will be closely related to financial-market damage of sufficient magnitude to shake prevalent investor complacency, best reflected in persistent record-low readings in volatility (VIX index). A mean-reverting VIX would in our opinion cause the Fed to abandon any pretense of monetary tightening. An unexpected U-turn in monetary policy would almost certainly cause precious metals prices to surge. Financial-market complacency seems (inexplicably, to us) to be based on confidence in a continuing economic expansion and a smooth transition (meaning pain-free in terms of market damage) to normalization of monetary policy and interest rates. We believe that these two expectations are incompatible and unattainable simultaneously. In fact, we believe that the likelihood of either occurring is miniscule. Stated another way, and in far less erudite terms, the Fed owns the stock market. The institution’s credibility has in our opinion become inseparable and indistinguishable from financial-market stability. This less-than-“candid” institution cannot afford a major downdraft in financial-asset values. It is caught in the lie that the institution’s supposedly superior and privileged knowledge hold the key to future prosperity, economic growth, and policy normalization. The price of an honest reassessment would risk calling into question the extreme policy measures undertaken since 2008. It is not farfetched, in our opinion, to suggest that the Fed and other central bankers, as Mario Draghi has famously stated, will “do whatever it takes” to maintain the illusion of wealth created by radical monetary measures, including market-rigging practices. The evidence in the table below suggests strongly that central-bank trading rooms have begun actively to defend key market support levels. The maximum drawdown for the S&P 500 in 2017 is the second lowest on record since 1928. Investor confidence in financial-asset valuations appears to rest on the fragile premise of Fed protection. •Historically high valuations: Bonds trade at historic low yields. Without that tailwind, near-record-high equity valuations would be unsupportable. Michael O’Rourke, chief market strategist at Jones Trading, notes, “unweighted multiples (S&P 500) are higher today (44.5 times) than at their peak in 2000 (33.7 times) and 2007 (30.2 times).” We view the tightening cycle being pursued by the Fed and other central banks as an unambiguous threat to equity valuations. • ETFs and index funds are reflexive: Inflows have led to indiscriminate buying and outflows will lead to indiscriminate selling. John Bogle, founder of Vanguard, has stated that 50% of trading is controlled by ETFs. The $3 trillion ETF industry has grown nearly tenfold over the past 10 years in terms of assets under management. In our view, the greatest danger of ETFs is the illusion of liquidity. The liquidity of these surrogates in many cases far exceeds the liquidity of the underlying securities and commodities that they represent. Capital inflows into ETFs over the past 10 years have driven equity valuations. Outflows will drive valuations down, fundamentals aside. • VIX readings are at an extreme. Speculative shorts are at the highest level since 2008. Mean reversion seems inevitable. We suspect that the Fed has already lost substantial credibility, but that investors prefer to look the other way as long as financial-asset values remain intact. It is, in our opinion, an “everybody knows the dice are loaded” situation that could portend an even sharper, impossible-to-escape downdraft once confidence is dislodged. Rising interest rates and market stability have rarely, if ever, coexisted, even if those increases are generally anticipated. In a free market, the ever-increasing supply of sovereign debt would be met with rising yields. Because bond yields are manipulated, the rate of increase may be dampened somewhat by central-bank actions, but even the baby-step increases contemplated by the Fed would be sufficient to destabilize overvalued financial assets. Should the Fed and other central banks fail to achieve the all-but-impossible task of returning to a normal yield curve without undermining financial-asset values, exposure to gold and related mining stocks represents a compelling investment proposition, if only as a hedge against increasing macro and market risks. Our investment strategy is to focus on mid- to smaller-cap companies that, through a combination of superior assets and sound management, add incremental per-share value through reserve and output additions independent of fluctuations in precious-metals prices. Because the gold-mining industry has struggled to maintain reserve life (which stands at a 17-year low), we anticipate a wave of acquisition and consolidation activity over the next three to five years from which many of our holdings will benefit. Should the gold price provide a tailwind, we expect returns from our investments to be quite rewarding. The macro and market events that we anticipate will almost surely drive large capital flows into the relatively tiny gold sector. Gold, held in proper form is the most liquid asset in the universe devoid of financial-market counterparty risk. No other non-financial asset – including real estate, fine art, or commodities – measures up as a potentially effective or accessible hedge against a market meltdown. Gold, as we have noted in a previous letter, has been the top-performing asset class since 2000, the dawn of radical monetary experimentation. We believe that a hard look at the facts suggests that a return to the normality of the past is unattainable, and that the captains of economic policy are living in a dream world. In light of these considerations, investor disinterest in gold and the implied expression of trust in the sustainability of current economic arrangements bewilders us, especially when even small exposure to the metal would be the financial-asset analog of fire insurance on one’s home. We therefore recommend taking advantage of periodic pullbacks in the precious-metals sector to initiate or expand positions. 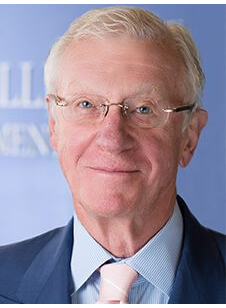 John Hathaway is chairman of Tocqueville Management Corp. and senior portfolio manager of the Tocqueville Gold Fund. Most experts agree that the future of oil is not bright at all. Just before prices fell from their highs at over $110 per barrel in the middle of 2014, the common wisdom among the same experts was that prices were expected to stay high for a while. But almost three years later, they are still in a relatively low range of the upper $40s to the lower $50s per barrel. They may remain low for a considerable time as shale producers in the US have adjusted to this environment. Even though prices could rally in the short to medium term, in the long run (by that I mean as early as the late-2020s), oil will start losing its lustre. This last age of oil will come as the transportation revolution displaces oil’s major role as a fuel for transportation, especially in motor vehicles. An energy revolution is unfolding right in front of us. The International Energy Agency projects a large decline in the global use of coal and oil in energy as they are replaced by natural gas and renewables. The cost of solar panels, batteries and wind production has fallen substantially since the mid-2000s. More important, renewables and electric vehicles are rapidly expanding, not only in the advanced countries but also in emerging ones. For example, China was the world leader in installed solar power capacity and the largest market for EVs in 2015. Emerging economies are adapting fast to face the challenges of pollution and congestion. The advent of EVs is a game-changer for the future of the oil market. As about one-half of the global oil market is road transportation (and about two-thirds in the US), the exclusive role of oil in fuelling transportation could vanish for good. In the aftermath, oil would become a widely available energy source competing with coal, natural gas, nuclear and renewables for electricity generation. Many still argue that it will take a long time for EVs to displace motor vehicles. Bloomberg New Energy Finance projects about 25 per cent of cars would be EVs by 2040. Opec increased its projection of the EV share globally from 6 to 22 per cent by 2040 in its 2016 World Oil Outlook. A report by Carbon Tracker and the Grantham Institute at Imperial College London forecasts that EVs would comprise more than half of the global stock of cars by 2040. Given the recent acceleration in adoption and cost declines, EV adoption is likely to accelerate in the years ahead and EVs will dominate the car fleet by 2040. Using a parallel of the horse displacement by cars over about 25 years in the US in the early 20th century, an IMF working paper “Riding the Energy Transition” shows that the share of EVs could reach 90 per cent by 2040 in this fast-adoption scenario. This may seem far-fetched but many issues hindering adoption such as high cost, lack of infrastructure and the short range of the vehicles are rapidly improving. The IEA and others project that the oil displacement in the advanced world will be more than compensated by the growing demand for oil in emerging markets. Although this could be the case in the next 10 years, patterns of technology adoption suggest that emerging countries would follow suit quickly. The rapid adoption of smartphones in the world displacing regular mobile phones despite much higher prices is a great example of what could happen. Economic diversification is more important than ever in oil-exporting countries given it takes a long time to diversify an economy as I argued in my recent book Breaking the Oil Spell. Motor vehicle displacement has promising implications for the fight against climate change. Given that most oil is used for transportation, a fast displacement would support the climate change agreements and keep the global temperature from rising by more than 2 degrees Celsius. This calls for strong government support for the adoption of EVs as well as renewables. It also calls for a strong international collaboration, especially between advanced and emerging economies in terms of technology transfers in green technologies. Ours could be the last age of oil, but it could also be the beginning of a new age of sustainable and collaborative development around the world. LONDON – It has been several years since policymakers seriously discussed the merits of fiscal austerity. Debates about the potential advantages of using stimulus to boost short-term economic growth, or about the threat of government debt reaching such a level as to inhibit medium-term growth, have gone silent. One way to confirm that an international fiscal-policy consensus has emerged is to review policymakers’ joint statements. The last time the G7 issued a communiqué noting the importance of fiscal consolidation was at the Lough Erne Summit in 2013, when it was still the G8. Since then, joint statements have contained amorphous proposals to implement “fiscal strategies flexibly to support growth” and ensure that debt-to-GDP ratios are sustainable. Putting debt on a sustainable path presumably means that it will not increase without interruption. But in the absence of a definite timeframe, debt levels can undergo lengthy deviations, the sustainability of which is open to interpretation. Objections to austerity were understandable in the period following the 2008 financial crisis. Fiscal policy was being tightened when growth was languishing below 2% (after bouncing back in 2010), and sizeable negative output gaps suggested that overall employment would be slow to recover. In late 2012, at the peak of the post-crisis austerity debate, advanced economies were in the midst of a multi-year tightening equivalent to more than one percentage point of GDP annually, according to cyclically-adjusted primary balance data from the International Monetary Fund. But just as fiscal policy was being tightened when cyclical economic conditions seemed to call for easing, it is now being eased when conditions seem to call for tightening. The output gap in advanced economies has all but disappeared, inflation is picking up, and world economic growth is forecast to be its strongest since 2010. In 2013, Japan was the only advanced economy to loosen fiscal policy. But this year, the United Kingdom appears to be the only one preparing to tighten its policy – and that is assuming recent political ruptures haven’t altered its fiscal orientation, which will be reflected in the Chancellor of the Exchequer’s Autumn Statement. Most observers would agree that government debt levels are uncomfortably high in many advanced economies, so it would be prudent for policymakers to discuss strategies for bringing them down. Moreover, there are several options for doing this, some of which are easier or more effective than others. In the end, government deleveraging is about the relationship between economic growth and interest rates. The higher the growth rate relative to interest rates, the lower the level of fiscal consolidation needed to stabilize or reduce debt as a share of GDP. As economic growth continues to pick up while interest rates lag, at least outside the US, fiscal authorities will have further opportunities to reduce debt, and create fiscal space for stimulus measures when the next cyclical downturn inevitably arrives. But policymakers are not doing this, which suggests that they have prioritized largely political considerations over fiscal prudence. After the recent elections in the Netherlands and France, a growing chorus is now proclaiming that “peak populism” has passed. But one could argue just as easily that populist ideals are being absorbed into more mainstream political and economic agendas. As a result, politicians, particularly in Europe, have no choice but to favor inclusive growth policies and scrutinize the potential impact that a given policy could have on the income distribution. This political environment is hardly conducive to fiscal consolidation. Any tax increases or spending cuts will have to be designed exceptionally well – perhaps impossibly so – for leaders to avoid a populist backlash. Some people will always lose more than others from fiscal consolidation, and deciding who those people are is never a pleasant exercise. So far, those decisions are being delayed on political grounds. But the economic implications of high government debt cannot be ignored forever. Monetary policy is already starting to change in the US, and it could be on the verge of changing globally. One way or another, fiscal authorities will have to confront challenging tradeoffs in the years ahead.